Sonic Liberty’s royalty-free stock music film score library offers the right track for your cinematic enterprise. Do you need an original soundtrack for your film, video game or documentary? Without licensing troubles, our stockmusic and sound design film scores are a breeze. While movies and other film projects are frequently made to be visually impressive, more often than not one of the most important dimensions of filmmaking is neglected in favor of lavish imagery: the right film music. 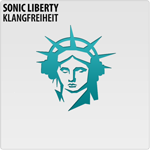 In order for your project to succeed on the whole audio-visual spectrum of film, Sonic Liberty offers production music and sound effects without royalty, composed specifically for film music. Our extensive film music library comprises the right background music for many genres. From devastating brass and heavy drums to menacing synths and unsettling percussions, from heroic and bright orchestras to epic compositions – Sonic Liberty’s royalty-free production music tracks for film scores are as versatile as your movie plans. For which genres can I use your production music? You can use our music tracks for any genre. Planning on shooting a horror film? We have the right mix of suspenseful strings and disquieting melodies that are guaranteed to make your audiences tremble. Heart rates increase with our more propulsive and high BPM music tracks suitable for action and chase sequences. Fierce strings accompanied by frantic drums keeps everyone at the edge of their seats. Our pop music offers cheerful tunes for family-friendly comedies and advertisements, while more demure tracks are great matches for a documentary. Our orchestral symphonies, on the other hand, are perfect for classical heroic journeys and epic tales. Whether your cinematic project includes elements from action, drama or comedy: our music library offers the right stock music for everything. Of course, our tense compositions are also great for trailer music. With the right sound design film music exceeds its occupation as a mere backdrop for the action: professionally composed stock music and sound effects help increase the impact of your cinematic event, heightening the possibility of spectator immersion considerably. Needless to say, the production music in our film score library is not only usable as film music but also for other enterprises such as video games. Racing, action and suspense games benefit from our compositions to the same amount as films do. As a result, you are likely to find the right stock music and license for your project within our libraries. Please feel free to browse and explore.